Hi everyone! Sorry for the late recap, we’ve been busy with a lot of school stuff (boring stuff), but here’s the recap! 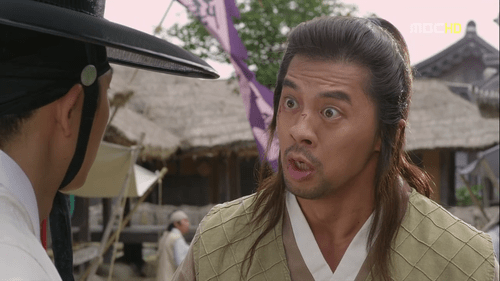 There’s not much plot movement in this episode, but there is a lot of Arang and Eun oh bonding time as well as introductions of new creatures which roam this mortal world! So onward we go! This is the exact face I want to do after being so busy with real life. Eun oh is looking for Arang when Dol swe catches up to him and asks where he’s going since the funeral is still occurring. Eun oh replies he’s going back to the office and Dol swe thought they were leaving. It’s because of that woman isn’t it?! 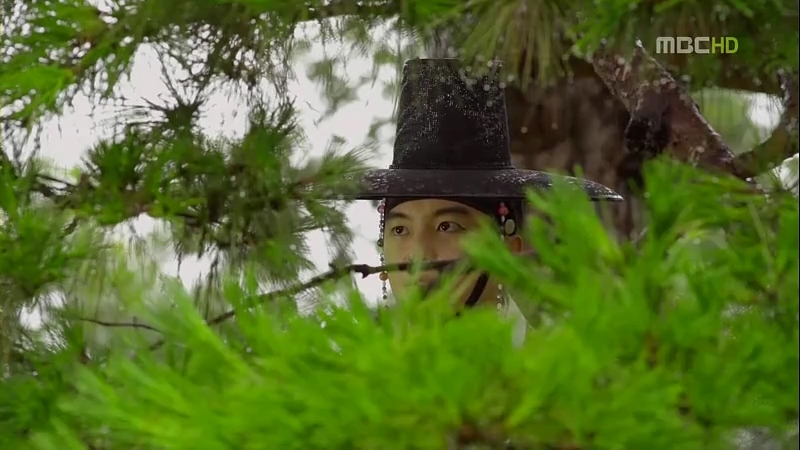 Dol swe feels betrayed that Eun oh would do so much for a woman Dol swe has not even met (haha bromantic jealousy?). He starts his interrogation, but Eun oh tells him to meet up at the office later before running off. This drama is definitely the new definition of pretty. What’s not to love, when everything is so gorgeous? The people, the camera work, and even the clothes? What amazes me the most is the camera work, which makes everything looks like they come straight from paintings. The special effects aren’t that flashy, but I can take it since this is a fantasy themed drama. One might find the story slowing down a bit in this episode, but I enjoyed it so much because there’s a lot of things that worth the watch. And this is the third time I’m changing the featured image. It’s hard to choose one! So Eun Oh closes his eyes, expecting a kiss from Arang only to find out it was his imagination (ha! who called it?!) and realizes he’s going crazy. The next morning, he hands Dol Sae a letter, telling him to give it to Jun Wal. Dol Sae asks if he’s really going to be the magistrate for Milyang and Eun Oh replies he won’t be it for that long.